Today’s shakshuka recipe is so simple… Eggs poached in a perfectly spiced vegetarian stew of tomatoes and green peppers. Add a salad and your favorite bread, and you can even turn it into dinner. Shakshuka is top of the list of my favorite egg dishes. 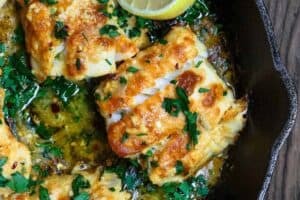 It originally came from North Africa (Tunisia), and has quickly become a popular Middle Eastern dish, particularly in Israel and the Holy Land region. I believe shakshuka gained wild popularity because it’s a simple dish that stars every-day ingredients. 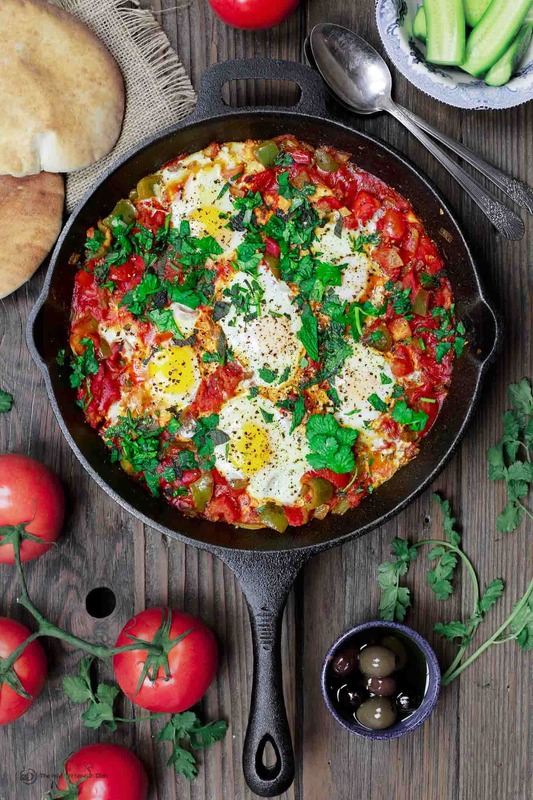 While there are many variations of shakshuka, a traditional shakshuka recipe is basically eggs poached in a spiced tomato and green pepper stew with onions and garlic. 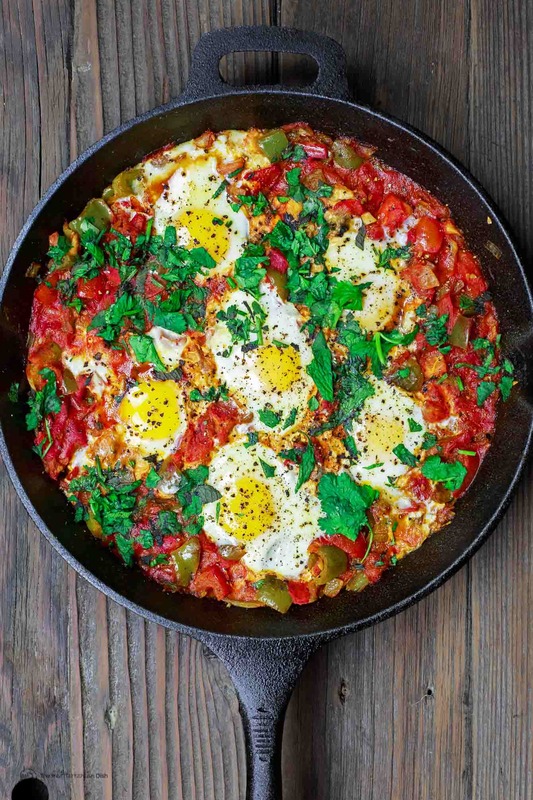 Shakshuka requires very little equipment to make; a well-seasoned cast iron skillet is all you need. It starts with sauteing some onions, garlic and bell peppers with spices. Fresh chopped tomatoes (the more ripe, the better) or canned diced tomatoes are added. The tomato mixture cooks until it is reduced to a thicker stew. Finally, large eggs are cracked and added directly over the tomato stew, then cooked over low heat. One important trick; it helps to make small “wells” into the tomato stew for the eggs. Make sure the “wells” or indentations are spaced out. Then nestle an egg into each indentation. Today’s shakshuka recipe skews towards the more traditional version, with the addition of fresh herbs like parsley and mint. 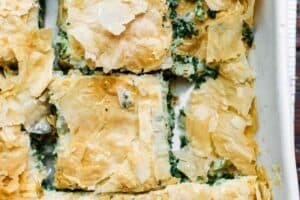 There are many more variations where the vegetables are changed up; or additional ingredients like feta cheese or spiced meat are added. 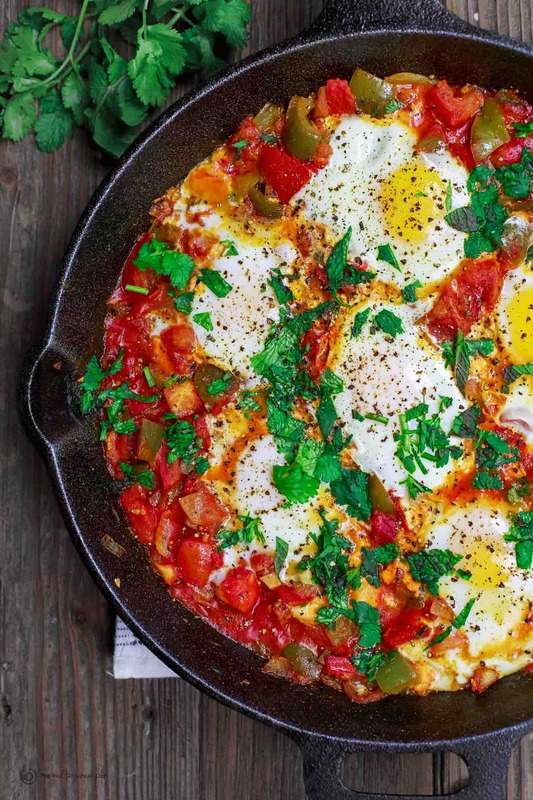 Yet this simple shakshuka recipe is one of my favorites. It is traditionally served as breakfast with warm pita bread or challah. But I often serve it for dinner with a couple more side for a light vegetarian meal. A few of my favorite sides to serve next to this shakshuka recipe are: Mediterranean chickpea salad; kidney bean salad; and roasted red pepper hummus. 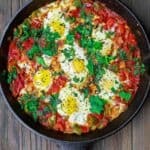 Easy shakshuka recipe. Eggs braised in a perfectly spiced sauce of fresh tomatoes and peppers. 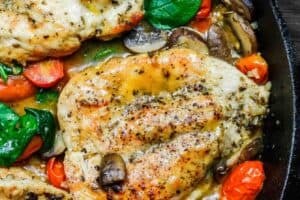 Heat 3 tbsp olive oil in a large cast iron skillet. Add the onions, green peppers, garlic, spices, pinch salt and pepper. Cook, stirring frequently, until the vegetables have softened, about 10 minutes. Uncover and add the fresh parsley and mint. You can add more black pepper or crushed red pepper, if you like. Serve with warm pita, challah bread, or your choice of crusty bread. 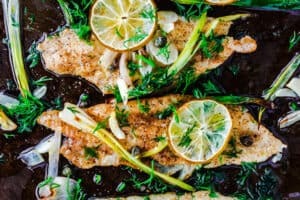 Recommended for this recipe: Private Reserve Greek extra virgin olive oil (from organically grown and processed Koroneiki olives) SAVE! 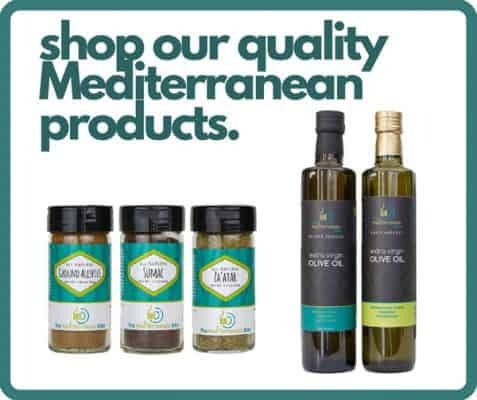 Try our Greek EVOO Bundle! 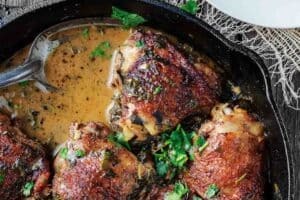 Recommended for this recipe: from our all-natural and organic spice collections, ground coriander, paprika, and cumin. SAVE! Try our Ultimate Mediterranean Spice Bundle or create your own 6-pack or 3-pack of spices! Awww so glad to hear it!